Big Wheel Building: Berd spokes. 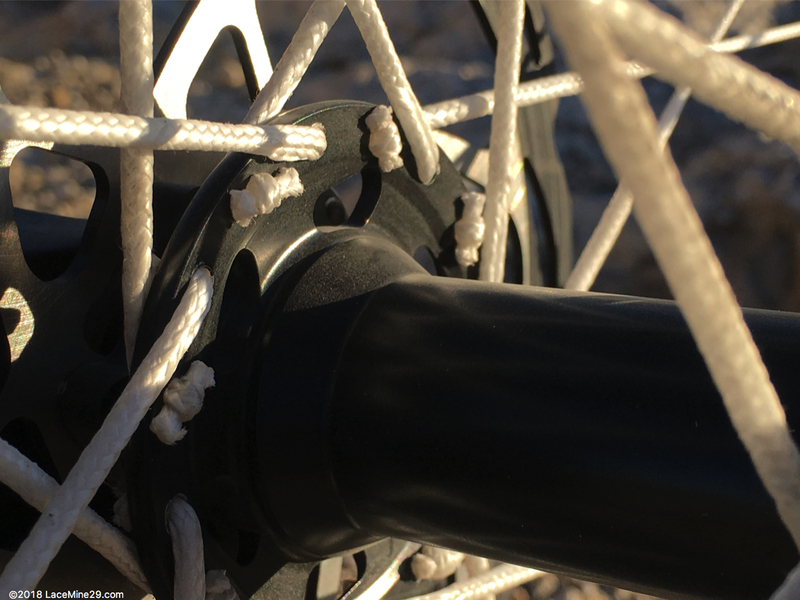 Maybe a year ago I became aware of a new technology being used to make bicycle spokes. By and large spokes are made from steel these days, primarily because steel makes for such a great blend of weight, cost, and durability. 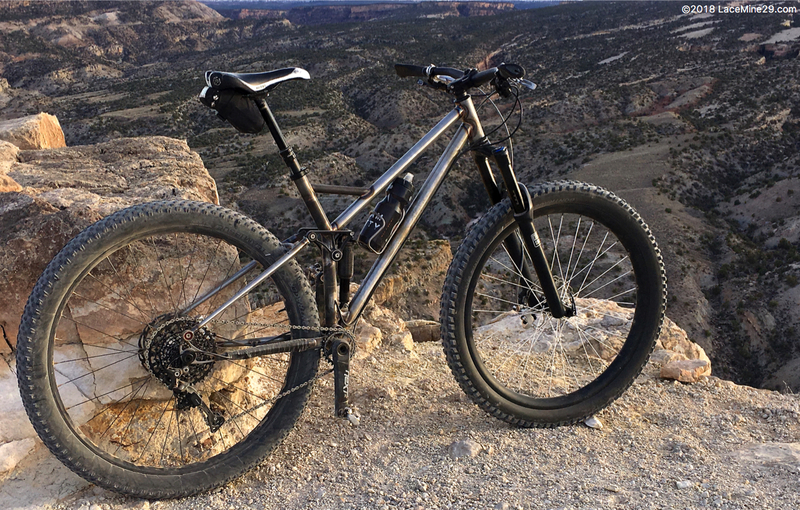 Experimentation with aluminum and composites has happened and will continue to -- that's how the breed improves. Marketing hack A: "How do we sell more of something without actually improving it?" Marketing hack B: "Divide, confuse, and conquer? Oh, plus new colorways!" My perspective is that straight pull spokes are a "solution" to a non-existent problem. I'm writing today about Berd spokes. You can read their shpiel here -- it's the same stuff I read when I first heard about them. The reading isn't particularly compelling, but it's informative enough if you pay attention. Basically, these spokes knock a good chunk of mass off of any wheel when compared with steel spokes, they don't give up any strength or stiffness in so doing, and they add a measure of dampness to a wheel. Lighter, stronger, and more comfortable? What's the catch? Glad you asked. The catch is in cost per spoke, as well as in increased labor time to build each wheel. Which also adds more cost to each wheel. Basically, a wheelset built with these spokes is expensive relative to any other spoke available. Your next question is undoubtedly some variation on "How much?" immediately followed by "Are they worth it?" The answers are "quite a bit" and "it depends". My ears perked up when I learned that the source material is Dyneema, which I know and trust from the HMG packs that Jeny and I have used for years. The stuff is incredibly light and unbelievably abrasion resistant. I know there are a lot of other attributes that are important in a pack, but for me those are the big two. After years and years of abusing our HMG packs -- bushwhacking through alder and devils club in AK, grinding and dragging them through dry scrub oak and wet slot canyons in the Colorado Plateau -- and them being dirty but otherwise none the worse for wear, I've come to think of Dyneema as an incredibly impressive material. "Sure", you're saying, "for a pack". But, good enough for bicycle spokes? It takes a good chunk longer to build a wheel with these spokes. 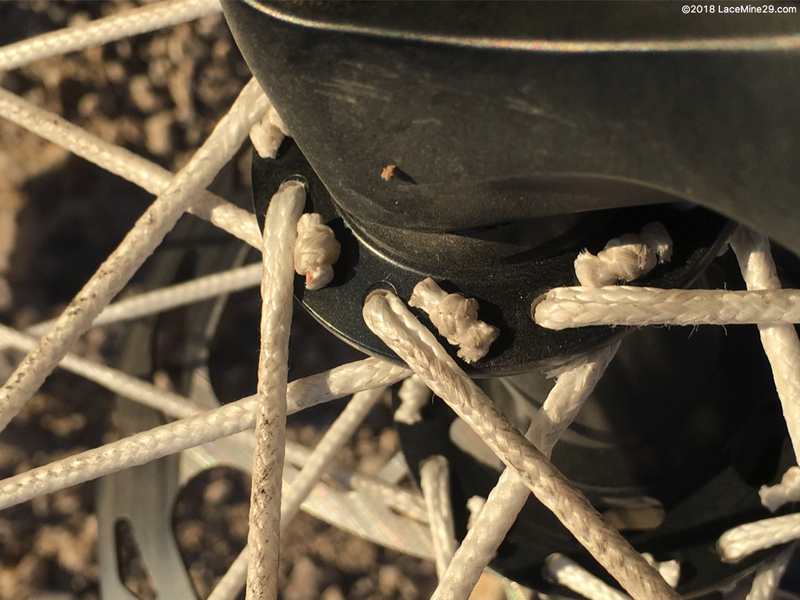 Some of that is in the lacing process, as the loop at the head of the spoke needs to be pulled through the spoke hole in the hub, and this isn't as easy as it sounds. 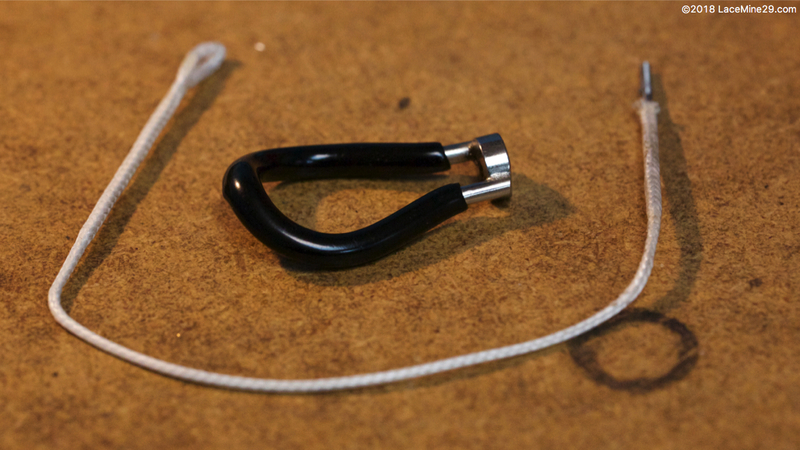 Then you slip a little 'rod' of Dyneema through that loop, pull the spoke tight by hand, then move on to the next one. It isn't complicated -- is actually anything but -- it just takes a little more time than you're used to. Home builders that love the process of building their own wheels will get to spend more time enjoying that process. There is additional time required in the tensioning process, because the material these spokes are made from has inherent stretch. Basically you need to bring the wheel up to ~final tension, do some stress relief cycles, tension it again, stress relieve again, tension once more, then hang it up for a few days and let the spokes elongate. You do not finish a wheel built with these spokes in one sitting. Come back to it a few days later, get it true/round/dished to spec, *then* balance it out at final tension. The guys at Berd will help you with the nuances of your spoke calc, and they'll also provide numbers appropriate to whichever tensiometer you're using. Expect to take 2+ hours on your first one, then maybe a little less on each subsequent. I can't see how you'll ever get build time equivalent to a steel spoked wheel, nor do I think it's important that that happens. I only have hundreds of miles on these spokes, on two different bikes, so the jury is still out on long term durability. Once I have thousands of miles I'll feel more confident in saying what they can and cannot handle as far as abrasion and impact. I did take a sharp shears to one, under tension, just to see how it would react, as sort of a crude abrasion test. It took several hacks at the thin section of the spoke to get it to cut, and even then it wasn't like you could cut immediately through the whole thing -- there were several strands that just wouldn't cut completely without several hacks and a lot of effort. In the video above I am not 'lillydipping' with the scissors -- I'm really cutting hard. The result of this crude experiment is confidence inspiring when considering sharp schist or shale plates that get thrown up, or even just incidental contact with the local square-edged sandstone and granite. Just one indicator, but an impressive one. The ride is subtly different from anything else I've ridden before. I should clarify that on my first build with these I took an existing wheelset using DT 240s hubs, Derby carbon rims, and DT SuperComp spokes -- a wheelset that I'd ridden over 2k miles already -- and cut out the SuperComps, then relaced with the Berd's. I even re-used the same tires, at the same pressures, such that the only thing that had changed was the spoke material. This single change created a net loss of 110g per wheel. Not a misprint. I could call them "damp" but you might get the idea that that means "slow". I could call them "quiet" but you might misconstrue that as "muted". Nothing about the ride is extraordinary relative to a normal steel spoked wheel, it's just a little different. I am princess and the pea when it comes to minutiae like this, and it's possible that what I feel when riding the Berd spokes just won't be noticeable to you. Put differently, there is no discernible difference in overall wheel stiffness in any plane, no change in how the overall package handles what you're throwing at it. 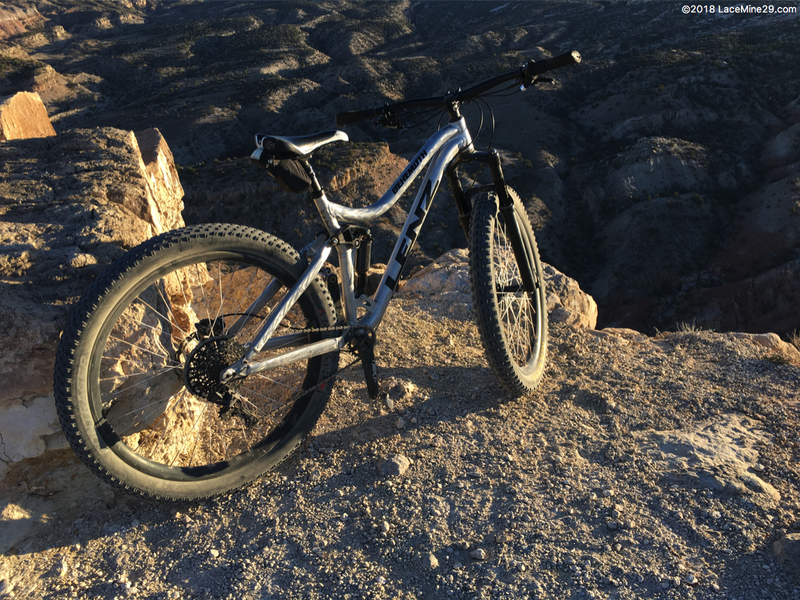 They are still stiff, strong wheels -- they just got a lot lighter and now seem to absorb more vibration from the trail. I'm not a hard-core numbers guy so I can't say that they make me feel x% fresher at the end of a ride. And I'm not fast so I can't say they make me faster. But I can say that I like the feel -- enough that I'm lacing another set for myself. The absorption of trail vibrations is noticeable enough that, were I still an endurance nerd out chasing sunsets, I'd emphatically be using these for both training and racing. I'm willing to build them for customers effective immediately. Expect to gasp audibly at the price -- $8 per spoke plus extra labor time, on top of hubs, rims, and (probably) shipping. How much of a problem is spoke wind-up? I can't seem to find any images that show a way to hold the metal-section of the spoke, either on your write up or on Berd's website. Does the weave of the fabric make wind-up no more of an issue than a standard steel spoke? I can see where you're going with the mention of durability. I could see these being used on my 'schwackin' bike (not so different than your OPP); get a stick caught in the spokes and the wheel might come (slightly) out of true, but without plastic deformation to contend with... Carrying extra spokes could be moot. Windup has to be contended with, as with any light spoke. Berd supplies some unconventional tools (with spoke purchase) to solve this. Cool. Thanks for info. Will be watching for your long-term thoughts! Any thoughts on spoke replacement mid ride? I picture it could be easier to fish one past the cassette? Maybe? Ride a day, then add some more tension? They are flexible in the middle but fairly rigid for ~2" on each end. I think you'd need to remove the cassette regardless. The last three years I fished SE we used a primarily Spectra net. Web made from it was much thinner/lighter/stronger and strained water much better so that it would hang lower and not billow in the water and was easier to tow. The end result was a much smaller pile on deck also. We also used it in place of wire winch cable and that is where we had some mild problems with it but it was so much easier to use overall we just dealt with it. UV will eat into it eventually, which shouldn't be a problem with the spokes, and AK doesn't get much UV, as long as you don't over expose them on a daily basis such as our lines were. Also they would abrade fairly easily so we would add chafing gear to problem spots which also helped defend against UV. The only place for wheel building I would see any problem with is the hub spoke hole some of which have a sharpish edge to them due to the chamfering process. As spokes they are under enough tension that there shouldn't be any movement at that point but if they do at all I would predict that over time, how much is anyones guess, they would perhaps wear through? It is a very cool concept and I hope you get as many miles out of them as we did the 4 million lbs of salmon we caught the last three years I fished. Good thoughts, Bob. Chamfering the spoke holes, or at least deburring them, is expected when using these spokes. I can't see any reason they wouldn't excel there. Jeny and I are giving serious thought to touring to Nome next winter. I'd probably relace my current wheels with Berd's if we did. These would be interesting for gravel use with that added damping effect. I'll have to keep them in mind for the next wheel build and I look forward to your long term thoughts on them. any updates on durability with these wheels? No news is good news. Put differently, I have nothing new to say about them, they just keep ticking along. I've had this wheelset on 4 different bikes now, ridden all over the mountain west from low desert to high alpine. I check tension on them every few weeks to ensure things are staying put. But I haven't had to put a wrench to them yet. Sort of impressive given that I've had them on a 170/150mm 29+ FS bike for the past ~8 months, and my backyard trails ain't buff. Thanks for this review and write up! A friend of mine got his wheels rebuild with Berd about a year ago. They have been rock-solid and he's quite happy with them. He's fairly big guy and rides mostly cross country but has and has put a lot of mileage on them. They've stayed true. He getting a new set soon as well. I was looking at getting wheels build this these spokes, however, the question I have is has anyone wind-resistance tested these spokes? I like how light they are however, I wonder if there is additional wind drag given the fibrous and non-smooth surface compared to traditional spokes. Maybe that decreases the rotational weight savings, by increasing wind resistance. Curious, no idea if it would be the case. I'm going to message Berd if they've tested that.